Gorse and golf - friend or foe? 0 Gorse and golf - friend or foe? If cypress and poplar were 'fashionable', gorse (Ulex europeaus) followed a slightly different path. It was originally introduced on poor agricultural land to increase productivity. 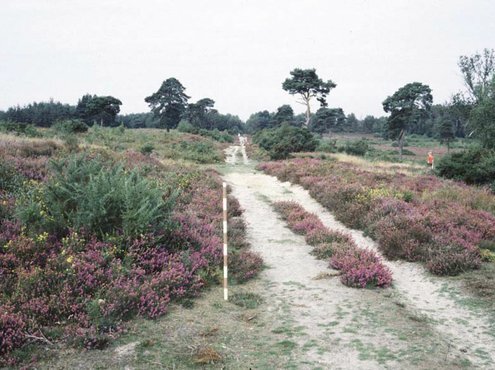 Golf, historically, was played on the links and then developed on to the heaths once architects like Harry Colt had identified the similarity in the two ecosystems where low fertility and free draining soils favoured the fine perennial grasses; the best surface for golf. This meant that such courses were often bounded by gorse and were, therefore, vulnerable to invasion. Landscapes evolve, often undetected by those who view them on a regular basis, and gorse is very good at sneaking up on you! It also became fashionable to plant gorse and it does have advantages; it is robust, flowers for a long period in winter, when other plants are dormant, and provides an evergreen screen. It is also surprising that many people cannot accept that change has even occurred. I have, many times, been told that a plant has not grown in size when, if you think logically, the only time a plant does not grow is when it is dead! 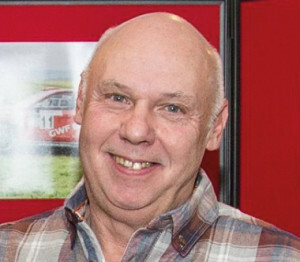 A member once announced at a presentation "I have been a member for forty years and the trees are the same as when I joined." Gorse can also conflict with strategic design as it causes lost balls and slow play and removes any chance of recovery. Back in 1920, in his book Some Essays on Golf-Course Architecture, Harry Colt said: "Gorse and water share the disadvantage that it is practically impossible to play out of them and they are a frequent cause of lost balls. It would appear, therefore, that that they should not be used to any great extent as hazards." "The characteristics of a hazard are that it should be difficult but not impossible to play out of; that it should not cause lost balls; and that strokes played out of it should be calculable as regards strength and direction, and should depend for their success on skill and not brute force alone." Also from 1920, Alistair Mackenzie stated in Golf Architecture: "There should be a complete absence of the annoyance and irritation caused by the necessity of searching for lost balls." 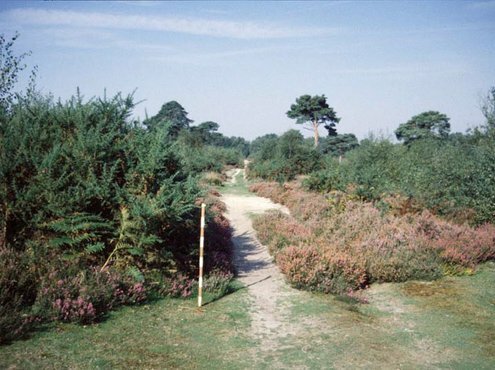 The golf courses of the UK are colonised by three types of gorse, the most populus being Common gorse (Ulex europaeus), which was imported in the 18th century to plant on poor quality agricultural land. The new growth was harvested and made into a 'porridge' to feed livestock as it was nitrogen rich. It is the largest species, reaching 2-3 metres in height. Common gorse flowers in late autumn and through the winter, coming into flower most strongly in spring. Interestingly, it was declared a noxious weed over 100 years ago in Australia and New Zealand! 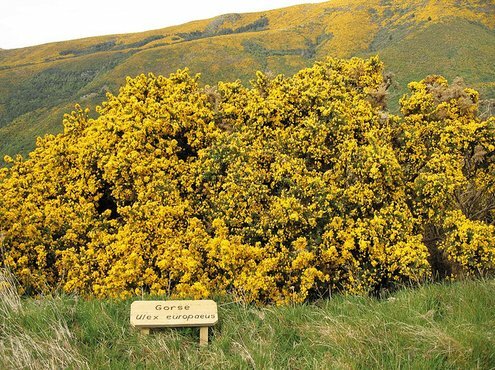 The second type of gorse - which is native - is Western or Welsh gorse (Ulex gallii). This, as its name suggests, is found predominantly in the west of the country. It is smaller in size but can still grow to a height of 2 metres. It flowers in late summer and autumn. It can be identified by its smaller softer thorns than common gorse. 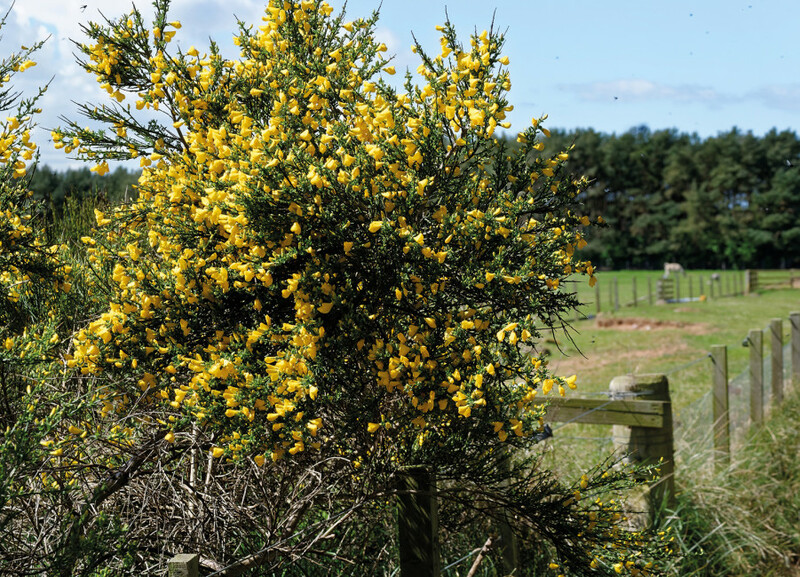 Common and Western gorse are invasive plants that, as legumes, naturally fix nitrogen from the atmosphere causing enrichment of the soil. They spread rapidly through seed and will regenerate vigorously. Gorse can fire its seeds up to ten metres from the mother plant. In a golf course situation, this rapid growth causes invasion problems as the thorny spines are avoided when mowing. The plant will invade the unmown area and, once established, will then force the mowers wider still. This invasion can be quite rapid as gorse can grow up to three feet per annum. Both varieties are also tolerant of fire. The less problematic of the gorse family is Dwarf gorse or Dwarf furze (Ulex minor), which is less widespread and native to lowland heaths. It grows normally to a height of around ten inches and is often found within heather beds and adds to the diversity of the heath. 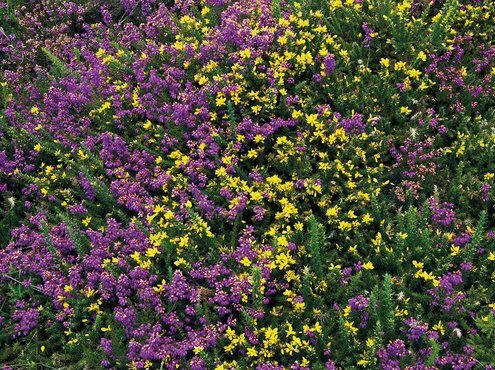 It has softer short spines that allow the plant to be grazed by herbivores and does not cause the same threat to the sustainability of heathland or acid grassland as common and western gorse. The two more common plants (European and Western) form a significant threat to heath and infertile grassland. A major management programme is necessary in order to safeguard such habitats. Once this is complete, it will be necessary to control future regeneration before it establishes and forms a seed source. From an agronomic perspective, gorse can have a damaging effect as it fixes nitrogen from the atmosphere and transfers it into the soil, creating an ecosystem that is more favourable to the broadleaf weed grasses such as Yorkshire fog and rye grass and hinders the fine grasses. This provides a seed source that will spread to adjoining areas and, as the areas of gorse themselves enlarge, the weed grass invasion proliferates. Gorse needs to be contained in order to protect the agronomics and ecology of any golf course. Control in itself is labour intensive as, to manage gorse correctly, it should be coppiced to ground level on a five-year rotation. It is often best to place some demarcation stakes on the edge of the stand of gorse to be contained as encroachment often goes unnoticed. 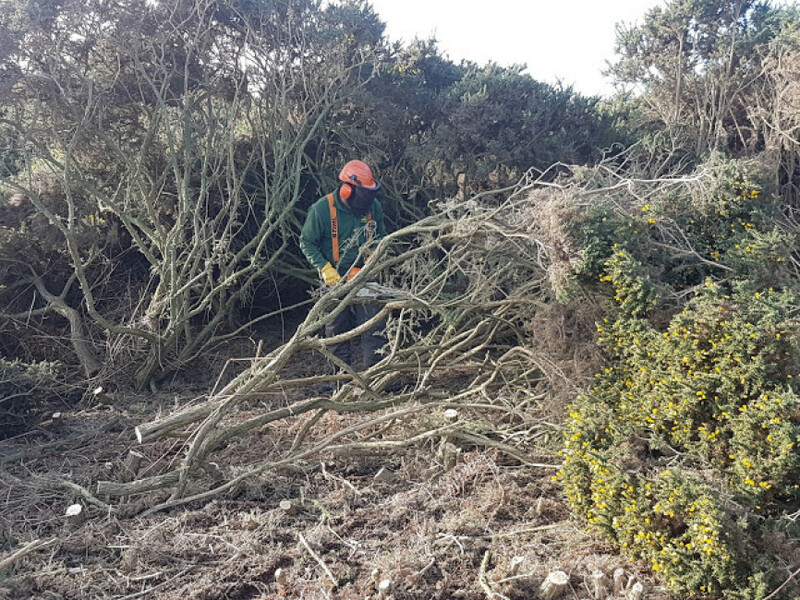 If gorse is to be removed and future regeneration controlled, then the best method is to grub out the plant, being sure to break the tap root and then burn the resultant cuttings. The enriched top soil will then need to be scraped back to the mineral layer and the arisings either removed from site or buried deep down to stop the seed germinating. Simply cutting or flailing only encourages new growth. The seed bed must be removed and even then, some regeneration will still occur. Gorse is also a great habitat for rabbits so beware, if rabbits are a problem then you can compound the situation with stands of gorse. Gorse has its place in the landscape, but careful consideration needs to be taken as to its location and on how to contain it. 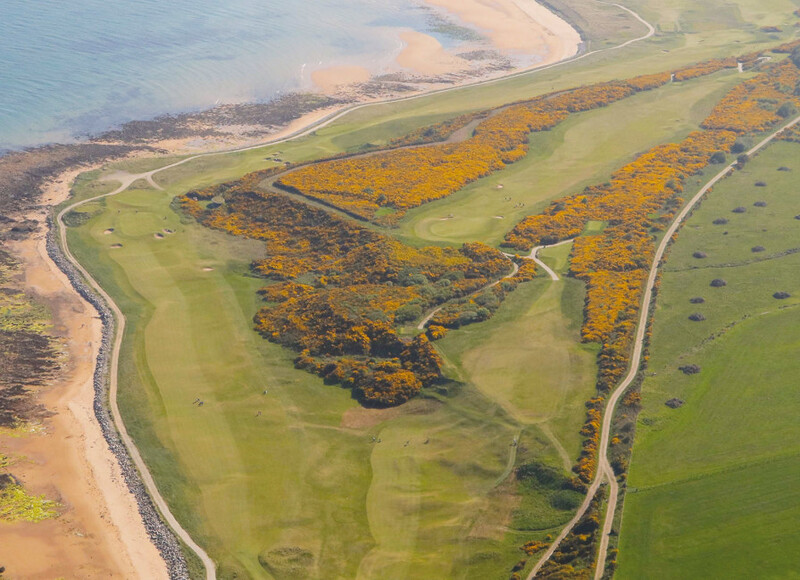 Royal Dornoch, a course well known for its hillsides of gorse, has decided to change the lay-out of its seventh hole whose present fairway runs between two ramparts of common gorse that hide what could be a glorious view of the Dornoch Firth. Eoin Riddell, the course manager, told FineGolf that the plan is, over the next four years, to move the much praised green complex, with its angular front swale, and exactly replicate it on to the point of the escarpment, with the gorse eradicated on the seaward side of the hole. 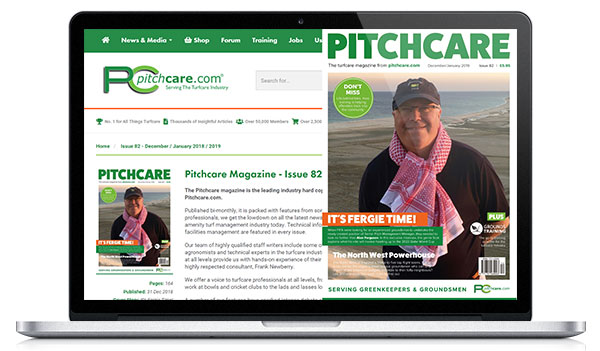 The hidden issue, which is the most important thing to achieve, is not only to grub out all the gorse roots but to also make sure none of the present soil around the gorse roots is left, since it will be high in nitrogen and, therefore, not supportive of a fescue grassed fairway which, of course, is the desired objective. Work started this winter and Eoin says all of the gorse mulch will be removed plus some of the layer beneath. The area will then be sand capped before the healthy rootzone for the new fairway is put down prior to seeding or turfing. This will be the first major change to the feel of this historic course, that has recently been climbing the world rankings, since holes seven to eleven were created after the Second World War - they were designed by Aberdeenshire's 1920 Open Champion George Duncan. The change to the seventh hole will also allow the drive on the eighth hole to be changed with the objective that, rather than playing the majority of approach shots to the green from below, they will in future be played from the top of the escarpment down to the bowl-shaped green. These are clever design changes by Mackenzie Ebert, whilst the in-house team who are doing the work are confident the new fairways will be of fine, running fescues. Aldeburgh is famous for both its extensive gorse with tunnelled fairways as well as its fescue dominant greens. 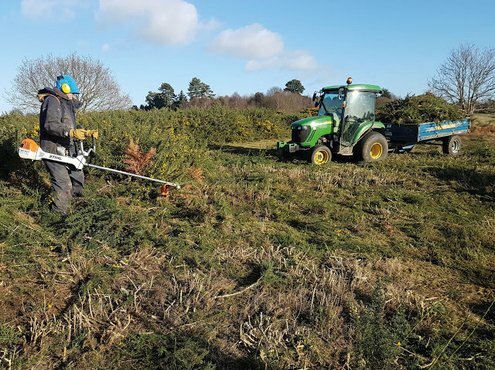 There has been a major programme of cutting back the gorse in recent years, just as there has been at Gailes Links (previously called Glasgow Gailes), Delamere Forest, Royal Porthcawl, Ganton, Notts/Hollinwell and North Hants; all seven of these running-golf courses have been much improved with this opening-up. Nevertheless, at other courses, for example at Powfoot (redesigned by James Braid in the 1920s) and near the wonderful, running, fescue dominant course at Southerness - both on the northern side of the Solway Firth and looking across at exquisite Silloth - some of the finest holes are the ones surrounded by gorse in the middle of the course, giving it its defining character, although the extensive gorse does eat golf balls, particularly in the wind! 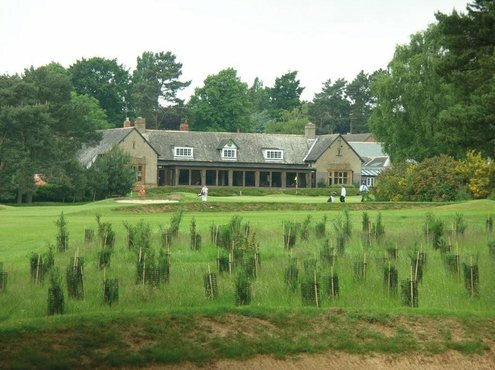 Northamptonshire County, a 1909 Harry Colt classically designed heathland course, lies today at the boundary between being heathland or parkland, with its parkland style refurbished bunkers and with many self-seeded deciduous trees. It went through a period, some twenty-five years ago, when extra gorse was added to increase its heathland character. The course is now under new management with an objective of returning to a fully running heathland. The gorse that had been allowed to get woody is being managed, some trees are being removed, two infinity greens have been created, run-offs from greens are being firmed up and an overseeding with fine grasses programme started, all as part of this new heathland style approach. Their reward is the hosting of regional Open Championship Qualifying from 2018, awarded by The R&A. 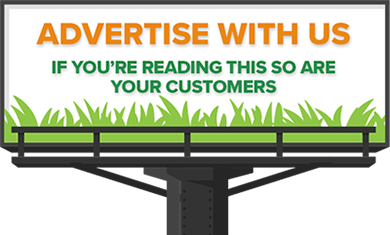 FineGolf is a passionate campaign based on the website www.finegolf.co.uk and edited by Lorne Smith, supported by an Advisory Panel of experts, to promote the classic values of traditional fine running-golf. 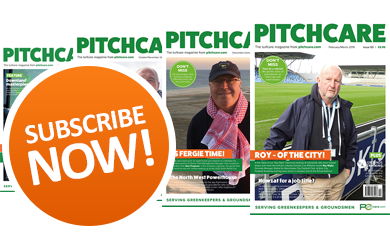 There are a growing number of now over 8,500 subscribers to the free bi-monthly online newsletter, including some 1,000 greenkeepers.